lock, stock and U-shaped typebar, to England. After making 1.25 million machines, the end of the line for American-manufactured Oliver typewriters was announced simultaneously in Woodstock, Illinois, and London, England, on June 1, 1927. The Woodstock announcement said all the property of the Oliver Typewriter Company would be sold the next day, either at auction or by private sale. The Times of London, meanwhile, reported arrangements had already been made for the acquisition of the plant and the transfer of manufacturing to England. The buyer was American-born English businessman George Augustus Mower. The price, it later emerged, was £45,000. A week after the June 1 announcements, the last US-based president of Oliver, millionaire Edward Herndon Smith (1859-1943), celebrated having the company off his hands by marrying church worker Vera Lash Merrill (1894-) in Chicago. Meanwhile, the widow of Smith’s immediate predecessor, Ricord Gradwell (1869-1926), was left fighting over Gradwell’s $200,000 estate with Washington actress Elizabeth Irving. 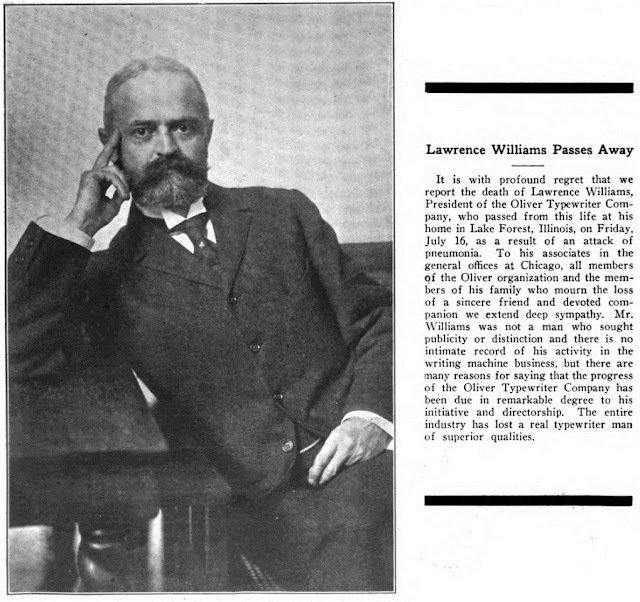 John Whitworth, at the wheel, with an earlier Oliver president, Lawrence Williams. Long-standing plant manager and company vice-president John Walter Whitworth (1853-1934) was left to clean up the mess at Woodstock (rather than, as has often been claimed, the young accountant Chester Irvin Nelson). Whitworth was born in St Petersburg, Russia, where his father, Walter Whitworth, a mechanical engineer and capitalist, introduced the manufacture of cotton cloth into Russia, building the first cotton mill there. John Whitworth was raised in Lancashire, England, arrived in the US aged 19 and became the capable manager at Woodstock in 1898. Whitworth announced the finalisation of the British deal in mid-October 1927. Mower had bought 1500 special machines, tools, jigs and dies, which United Tools & Instruments Ltd later valued at £57,389 16 shillings alone, more than £12,000 above the price Mower had paid for the machinery, along with world manufacturing and marketing rights, goodwill, trademarks, patents and patent rights (800 drawings in all) and the freehold Woodstock factory (which it sold to Alemite Die Casting in 1928). Mower was only too well aware that the Oliver had 1400 moving parts, which had to be made exact to within 1000th of an inch. But Mower didn’t take everything. Liquidators advertised in Indianapolis, St Louis, Cincinnati and Detroit on July 24 for an auction of unwanted (by Mower) machines, tools, parts and assorted other bits and pieces, to be held in Woodstock three days later. Sterling brothers Dave and Harry Manfield took six trucks and seven assistants to pick up machinery and other equipment. 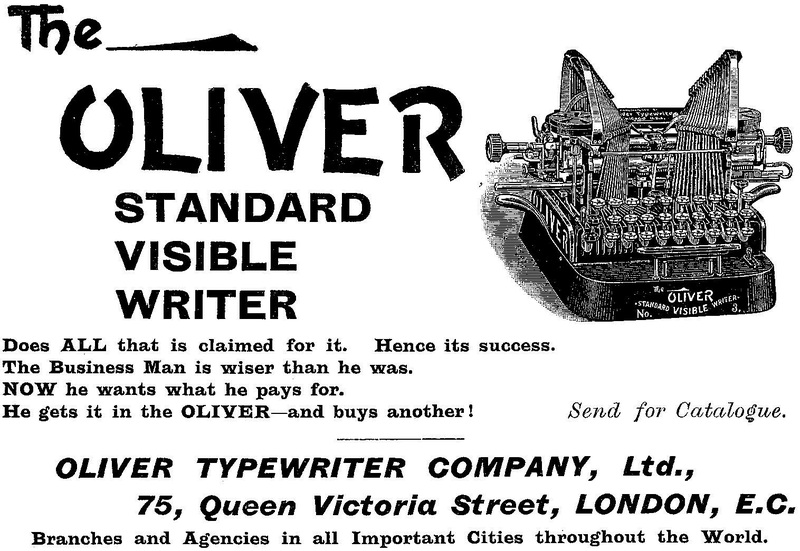 The British Oliver Typewriter Manufacturing Company was registered as a public company and incorporated on May 5, 1928. It had authorised capital of £130,000 from 260,000 fully paid 10 shilling shares. Within days of the incorporation, the value of shares rose to £14 3 shillings, and by the time of a statutory meeting on July 27, the value had settled at £12 9 shillings. Left with £85,000 after Mower had been paid back for his purchase of the Woodstock plant, the new company planned to expand its factory at the Victory Works, 80 Gloucester Road, Croydon, Surrey. The BOTMC’s managing directors were American-born George Augustus Mower, of the Sturtevant Engineering Company, his countryman Major Walter Henry Ward, of Rockwood Co Ltd, and Englishmen Greville Richard Thursfield, of Igranic Electric, and Thursfield’s in-law Lieutenant-Colonel Adrian Francis Hugh Sibbald Simpson CMG, Royal Engineers, of Wireless Pictures. The registered office was further down Queen Victoria Street, at No 147, where Mower had headquartered some of his other companies. 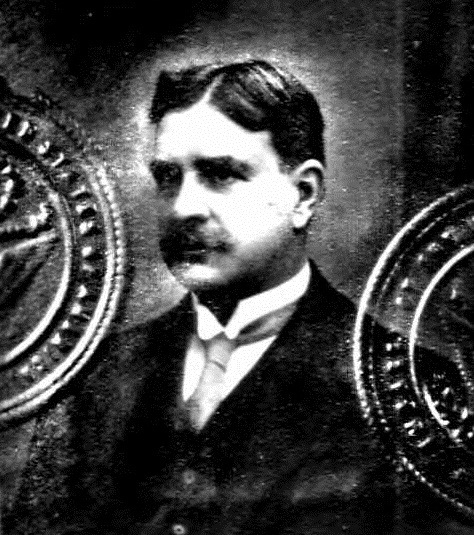 William Herbert Peak, of the Marconiphone Co, joined the board in 1930. George Mower was born on January 31, 1860, in Stillwater, a city in Washington County, Minnesota, directly across the St. Croix River from the state of Wisconsin. 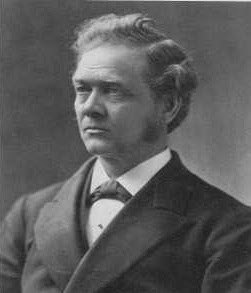 He graduated from the Massachusetts Institute of Technology and travelled to England in 1883 as a representative of the Crosby Valve and B.F. Sturtevant companies, both of Boston. 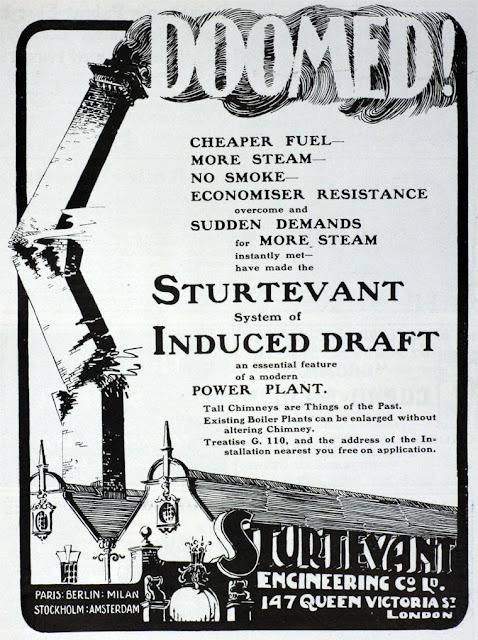 He remained to establish the Sturtevant Engineering Company in 1885 and later the Crosby Valve and Engineering Company. 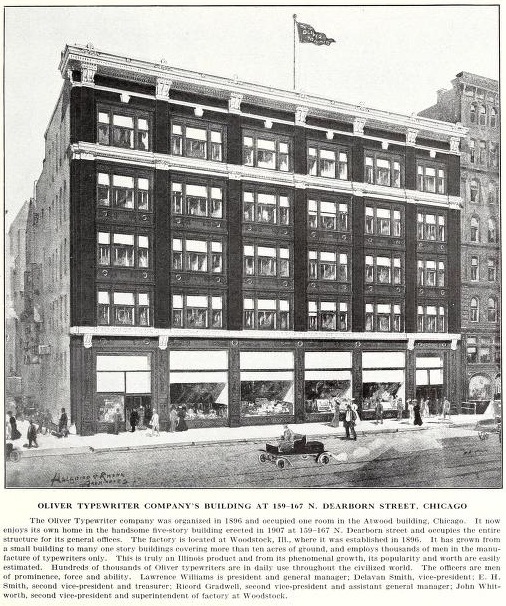 Mower acquired a controlling interest in the Bifurcated and Tubular Rivet Company and in 1898 was appointed agent for the Cutler Hammer Company of Milwaukee. He took control of Iris cars in 1909 and established the Igranic Electric Company in 1913. Mower retained the chairmanship of these companies until his death in Kensington, London, on November 26, 1941. Mower’s typewriter company got off to a positive start. By the end of July 1928 3000 new machines were already "in an advanced state of manufacture" (Simpson). And in early February 1929 the BOTMC announced it had secured an agreement with the British Government to supply His Majesty’s (George V's) Stationery Office with British-made Olivers. The share price rose to £13 9 shillings. In October the first accounts showed a mere £1040 profit after a trading loss of £8697 from the development period to the end of June 1928 had been transferred to a development account. The BOTMC had also gained control of the United Tools and Instruments Co. The biggest problem encountered by the BOTMC was in finding and training staff in what Mower described as “practically a new industry in this country” – only one in four workers employed had been retained. For this reason, the BOTMC’s initial venture into the portable typewriter market relied entirely on European-made machines, starting with relabelled German Fortunas in 1931 and moving on to Italian SIM and finally Swiss Patria models. The BOTMC abandoned the traditional standard Oliver design in 1933 (it returned to it during World War Two to meet Government orders when supplies from Europe were impossible to obtain) and started assembling relabelled Halda-Nordens from Sweden in 1935. The BOTMC returned to Haldas after the war, while also licensing European companies, such as Siemag in Germany, to make Oliver labelled machines. Difficult trading conditions during The Depression lowered the BOTMC's annual profit to £365 in 1934-35 but it rose to £3396 and £3557 in the following financial two years. By 1937 a maiden dividend of 5 per cent was possible. The BOTMC held its ground in 1938 and its profit rapidly lifted in 1939, to £8053, allowing it to double its dividend. 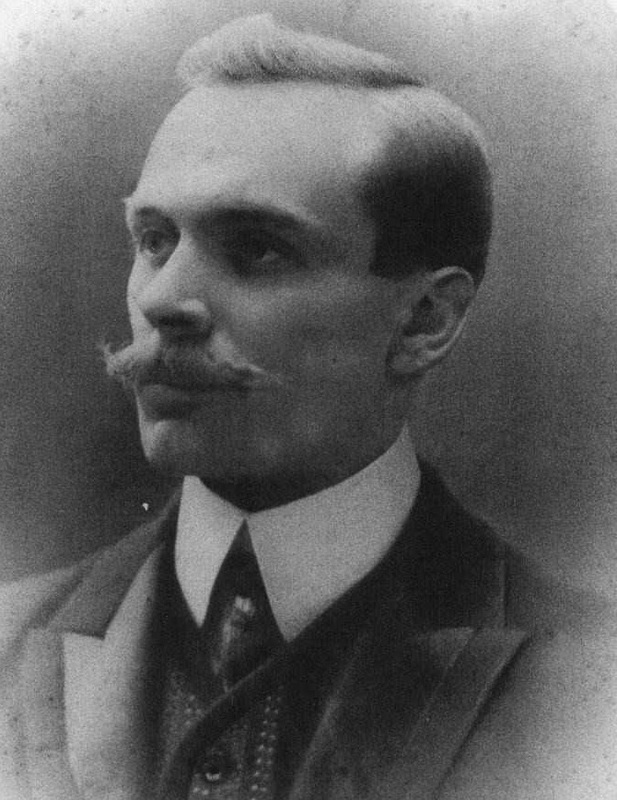 Following the death of Mower, Edwin Alfred “Teddy” Goddard (1878–1954) took over as chairman of the BOTMC board. By this time the outbreak of World War II had also impacted significantly on Oliver’s trade and a lack of skilled labour was a telling factor. Goddard stressed the important role typewriters played in the war effort, yet said the Manpower Board did not recognise the need to keep the typewriter industry fully manned. Just before Christmas 1942, Goddard signalled that the BOTMC was “tooled up” to make its own portable typewriter, but he did not expect the portable to go into production until after the war. Perhaps he was being a little too optimistic about when the war would end. Some £20,000 had been put aside to upgrade machine tools. In the event, however, £15,000 had to be borrowed for new plant and machinery by the end of the war, and in September 1948 the BOTMC sought to raise £39,000 and restore its capital to £130,000 by creating 780,000 ordinary 2 shilling shares. After a large order was placed for standard Olivers for US Air Force bases in Britain and Continental Europe in 1951, this share issue did not go ahead until October 1952, and by the time Goddard died in December 1954 the company was in dire straits. Rex Percy Cooper succeeded Goddard as chairman in February 1955 and three months later Goddard’s son John Howard Goddard (1919-1968) joined the board. In June 1956 the BOTMC decided diversification was the way to go and issued 1.7 million 2 shilling shares to acquire two allied engineering businesses as well as catering equipment manufacturer Gardiner and Gulland as a subsidiary. The ploy failed, and a profit of £6620 in 1955-56 turned into a massive £29,858 loss in 1956-57, providing for £38,177 in “obsolescence in stocks”. In December 1957 further expansion, and a name change (to Oliver Industries Ltd in April 1958), were seen as the way out of trouble. 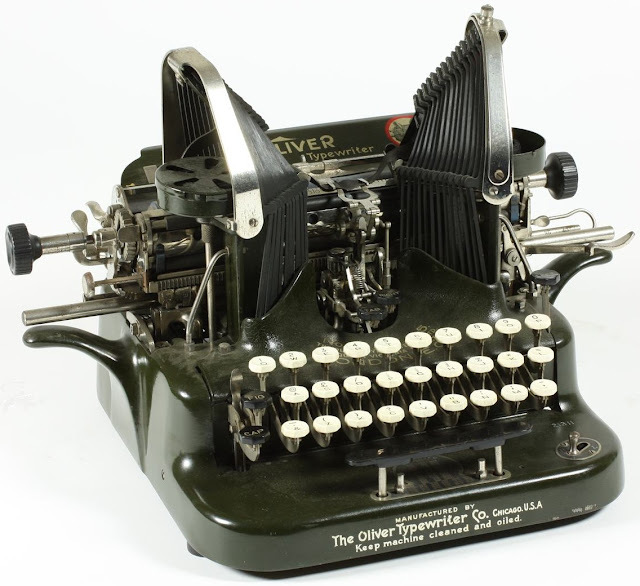 The rights to the Jardines’ Byron typewriter had been acquired, but Oliver was seeing itself as a more general industrial holding company, with interests in industrial banking, equipment hiring and TV rentals. For a short while the changes worked, and Oliver’s acquisitions resulted in a profit recovery to £28,109 by the end of 1958. In July 1959 Oliver ceased production of typewriters and before the end of the 1959-60 financial year it had suffered a net loss of £85,646. The receivers were called in. Thus ended 64 years of Oliver history. A range of factors had contributed to the demise of the original Oliver Typewriter Company. Troubled times appeared on the horizon in March 1917 when, addressing the impact of World War I, the OTC drastically and suddenly lowered the price of its latest model from $100 to $49, stopped hiring salesmen, closed its branch offices and discontinued its agencies to rely entirely on mail order sales – declaring this to be a “revolution in the typewriter business”. Things were hardly improved by the death in August 1922, at the age of 60, of the company’s major investor, Cincinnati-born Delavan Smith. The OTC decided against switching to a conventional standard design. In February 1924 the general offices in Chicago were closed and staff moved to Woodstock. The McHenry County tax rate was hiked from 50 to 65 per cent when it was found Illinois was unable to meet an obligation to pay $4.125 million in soldier bonds, because county treasurers hadn’t handed over back taxes. Oliver had to cough up $7766 as its contribution. This followed the lose to fire of a staff accommodation house on Clay Street, Woodstock, and the sale of its car parts foundry to the Motor Valve Co of Chicago. The end was clearly in sight when in March 1925 Oliver entered into talks with Corona about a possible sale of the Woodstock concern to Groton, New York. Although in 1926 Oliver officials continued to put on a brave face concerning the size of the company’s staff and its ongoing production and sales, the downward spiral in its fortunes had obviously become irreversible. Borrowing and efforts to trade out of existing debt were out of the question and liquidation the only possible course of action. The original OTC was incorporated in Springfield, Illinois, on December 28, 1895, with Lawrence Williams, later the long-standing company president, one of the incorporators, along with Douglas Smith and attorney Samuel Adams Lynde (1855-1940). Three weeks earlier it had been announced that a deal had been struck to move manufacturing from Epworth, Iowa, to Kenosha, Wisconsin. But on January 9, 1896, it was revealed by the Woodstock Public Improvement Association that “Woodstock got it”. The association donated its existing factory on condition that Oliver stayed in Woodstock for at least five years. The company took possession of the former Wheeler and Tappan pumping machine plant on January 14 and after a refit, operations started two months later. Orders were being taken by E.S. Sprague mid-May and machines were shipped by August. The major backers were Chicago capitalists John Villiers “Dutch” Farwell (1825-1908) and newspaper publisher Herman Henry Kohlsaat (1853-1924). 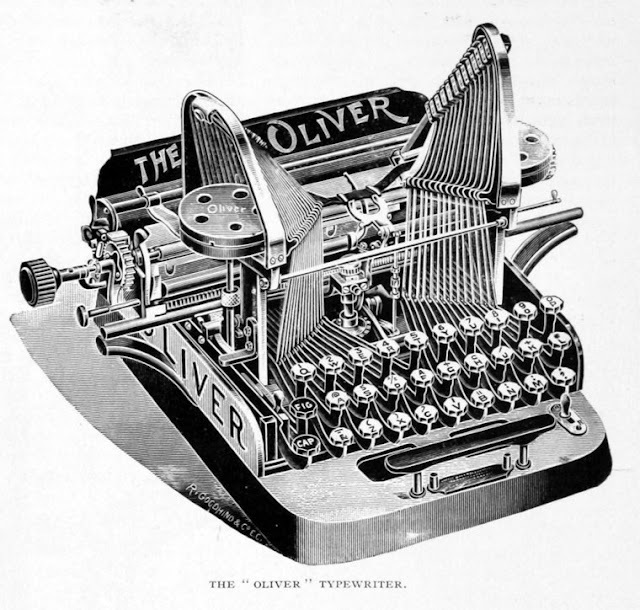 One of the partners in a Farwell family legal firm, Chicagoan Charles Chase Whitacre, established the first British branch of the Oliver Typewriter Company, at 75 Queen Victoria Street, London’s “Typewriter Row”, in 1897. Whitacre died suddenly, aged 46, while holidaying with his family in Pointe-au-Pic, Canada, in September 1905. The building at 75 Queen Victoria Street housed a large range of agencies for American companies, many under the control of a John Sugden. Next door were the headquarters of the Richardson typewriter empire. The Oliver agency remained at No 75 after Whitacre’s death, and was also the base for the agencies for Hammond, National and Royal typewriters. 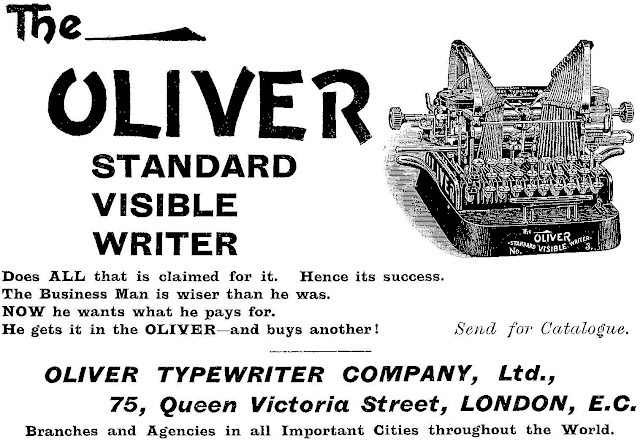 The Oliver Typewriter (Sales) Co Ltd remained in existence at 75 Queen Victoria Street after the establishment of the British Oliver Typewriter Manufacturing Company, with exclusive selling rights throughout Britain and Ireland. Upon establishment of the BOTMC, the Sales organisation placed an immediate order for 20,000 machines, with a profit of £2 a machine going to the BOTMC. Ironically, some of these machines were to be sold back in the good ol’ US of A! 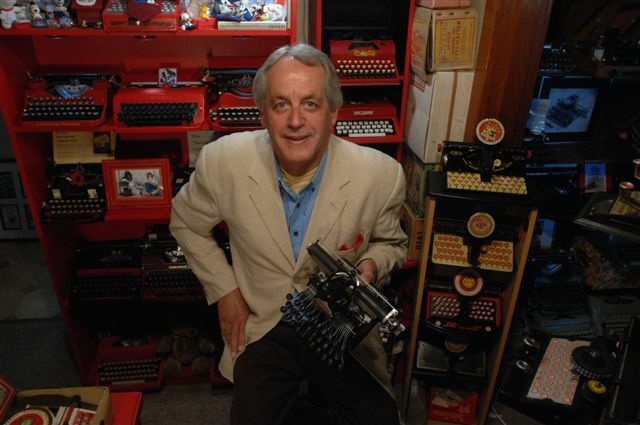 Excellent contribution to typewriter history! And especially interesting to me at the moment because I've just been fixing an Oliver 9.